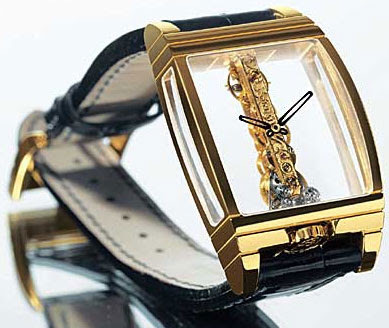 Corum, a Swiss watch manufacturer which ranks amongst the most prestigious in the world. Founded in 1955 in La Chaux-de-Fonds, Switzerland, the Corum brand acheived prominence because of its simple philosophy--"superb craftsmanship combines with the endless search for beauty and innovation." This initial commitment to excellence still prevails today.